To incentivize high-rise housing Downtown, developers will continue to receive a 50% reduction in construction taxes and parkland fees for projects beginning consturction before July 2018. There are 10 residential projects in the pipeline with 3,600 units total. Supergraphics on non-residential buildings were approved by the city council. Fees collected will go to abate graffiti and create murals. Olla Cocina was awarded a Golden Nail Award for beautification. Exhibition district has opened Local Color (LoCo), a pop-up arts and retail space at 24 S. First Street (former Ross space). Eventually, the space will be used for a high-rise residential tower. The trendy new 210-room AC Hotel on West Santa Clara Street will be the first new Downtown San Jose hotel to open in 13 years. It is also the first AC Hotel in California and features a saltwater pool, outdoor fireplace, carpet-less flooring, and European-style bath and shower. 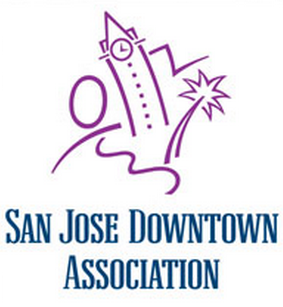 Downtown San Jose Restaurant week runs from Jan. 16-26 and will feature 24 Downtown eateries.